The sun was coming up for the second day of the Watermelon Carnival before I had even closed my eyes from the day before. Everything starts out very early with an all you can eat breakfast of pancakes and sausage, along with plenty of hot coffee and orange juice, served up by the Water Valley Lions Club. 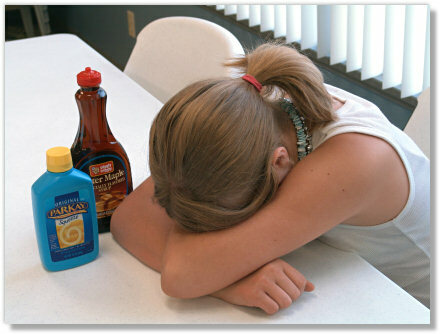 As much as Haley loves pancakes, it is a distinct possibility that she considers 6am to be just a little too early for breakfast. 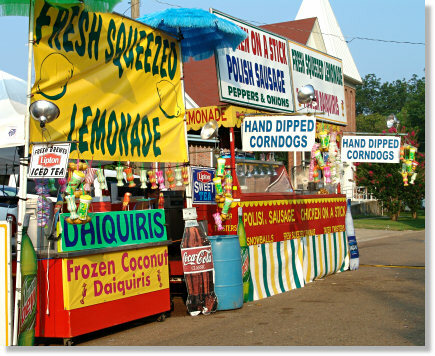 There is an entire row of food vendors to tempt you with sinfully delicious smells all day long. Don’t get too excited about the sign for daiquiris that you see here. Right smack in the middle of the Bible Belt here, they are definitely non-alcoholic drinks! 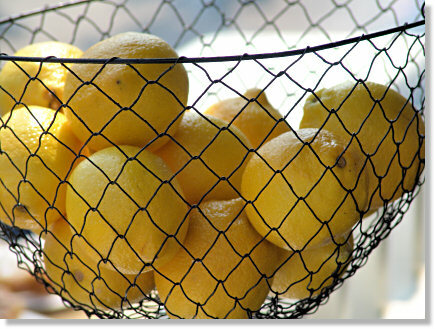 If you have a hankering for fresh lemonade, you will find the real thing! 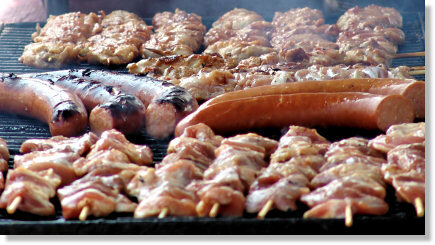 The most tempting smell of all though is all the meat on the grills! 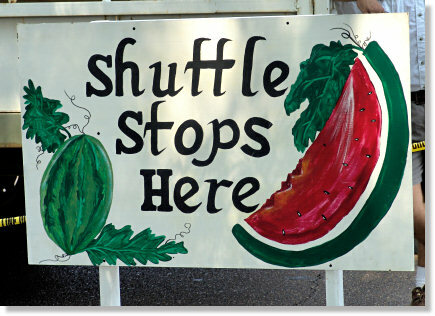 If you are wondering how all these people get around in this town during the Watermelon Carnival, well that all kind of depends on where you want to go . . . 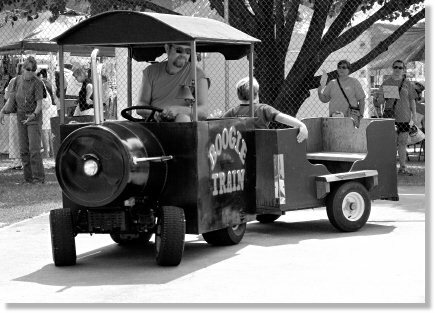 If you don’t care where you end up, since you usually find yourself going around in circles anyway, grab a ride on the Boogie Train. If you want to get downtown though, the shuttle stops here. If you were thinking in terms of a shuttle bus though, you will find that they do things just a bit different around here. 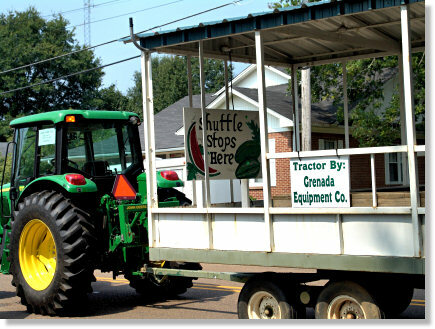 This big tractor stops here, about every 15 minutes or so, to shuttle everyone to the activies downtown. This shuttle has what I like to call, built in air conditioning. 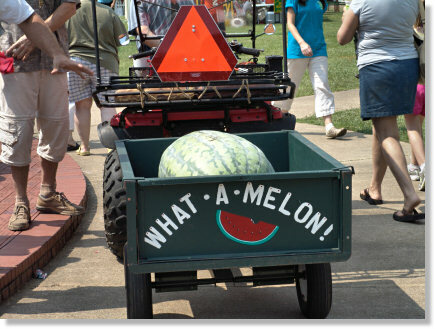 Giant watermelons hitch a ride to the gazebo (for the contest) in this little trailer pulled by an all terrain vehicle. 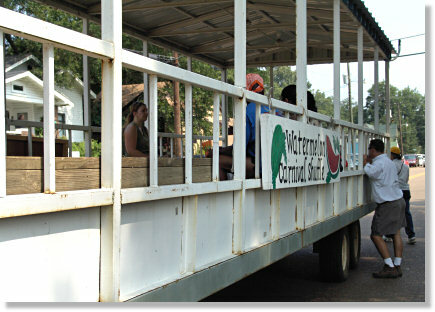 I am now officially tired out from all the excited caused by our 38th annual Watermelon Carnival. Until next year . . .
My daughter and I have read through your days so far (she came in and asked me what i was laughing about so i had her read with me) and we’ve decided to do the same thing together. One beautiful photo per day for 30 days. Now…I don’t know if we’ll be as committed, but it’s worth a shot. If your daughter is anything like mine, once you have told her, you are committed. She won’t let you get by with missing even one single day! I have truly enjoyed this series. It’s has got me to thinking about picking my camera up again. You take such incredibly clear pictures. I suppose you never even need to enhance your pictures at all? This is really cool picutres I like to take pictures and these are so neat. I am a sophmore at the high school in Water Valley. AND I ALREADY KNOW WHAT I WANNA Do!!! keep up the good work you inspire me..